A Developer Extension Agreement (DEA) is a contract between the District and a developer or property owner to construct water and/or sewer facilities on property owned by the developer, and in roads, easements, or other rights of way described in an approved application (RCW 57.22). 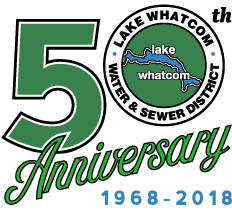 If you wish to establish a Developer Extension Agreement with Lake Whatcom Water & Sewer District, this form will get you started and outline the process. Please contact someone in the engineering department at 360-734-9224 with any questions.